RBI has launched a website www.paisaboltahai.rbi.org.in - which gives visual presentation with pointers on currency notes of 10, 20, 50, 100, 500 and 1,000 rupee denominations. 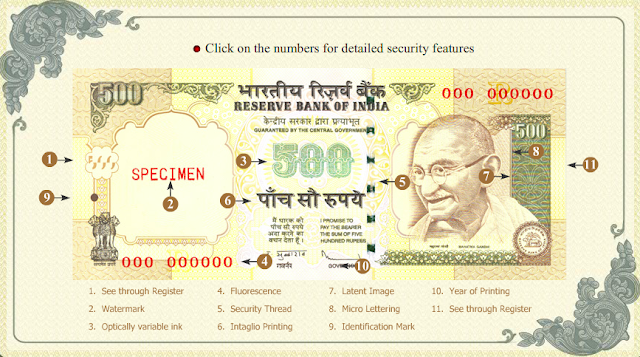 Consumers have the option to download posters of these currency notes, which can be used as reference to identify counterfeit notes. A documentary film on it can also be downloaded. 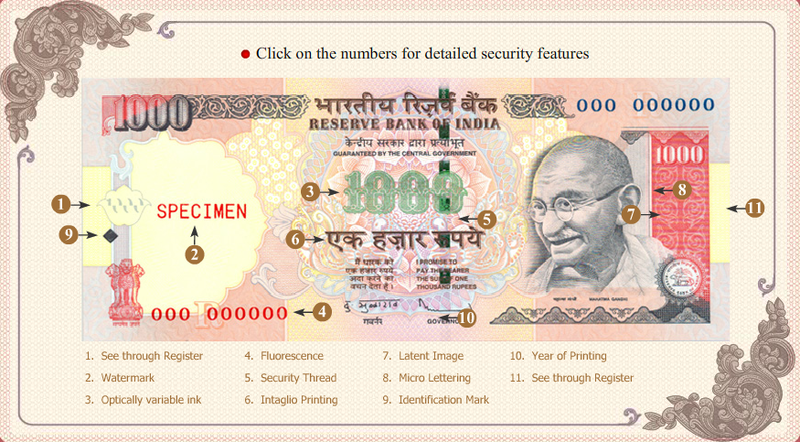 The link for this website is available on RBI's main website as well. The site also gives details of the number of fake currency notes detected. RBI said considering there were 64,577 million pieces of banknotes in circulation as on March 31, 2011, the detection of forged notes during 2010-11 was to the tune of 6.74 pieces per million pieces of banknotes in circulation.